You can never point the finger at Arjen Anthony Lucassen for stinting on quality because yet again this is a fabulous release that encompasses 3 audio CDs, a DVD, a poster and a monster booklet (56 pages worth), all housed in a very nice box. If you are already a fan and own every album from which all but one of the tracks included here have been taken, you are still going to want to own this splendid package. If, by some strange quirk of fate you have thus far managed not to be exposed to the delights of this music, then there is no better place to jump on the bandwagon, you won’t be disappointed. In case you don’t know, AAL has been creating a Rock Opera about the Ayreon universe under that moniker since 1995; a cycle that was completed with the release of the brilliant ‘01011001’ early in 2008. Therefore the time was deemed right to pull the story together into one package both musically and graphically. I should stress that it is not his intention to pull the plug on Ayreon but it will probably be on hiatus for a while until he decides where to take it next. For those who are thinking that they don’t need to buy this because they have it all already, you should be aware that there is a new track lurking inside in the form of the 9 minute ‘Epilogue: The Memory Remains’. 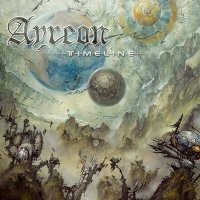 It acts as a further insight into the final chapter of the Ayreon saga and what the future might hold for its characters. The song also introduces us to another singer to add to the already impressive list (38 lead vocalists in fact) of those who have contributed to the journey so far, in the form of Jasper Steverlinck (Arid). A plaintive violin and stark keyboards set the atmosphere before the drums pick up the beat and a menacing organ and multi-layered guitar hark back to the themes from ‘01011001’. Lori Linstruth’s guitar solo is wonderful, whilst Steverlinck’s voice has a passing resemblance to that of Freddie Mercury. Indeed, on the vocal sections there is a Queen-like quality. The song builds to the big climax where Muse comes to mind, before sound effects complete the picture. Before you ask, no it doesn’t sound like a filler or a leftover; this is a good track and one worthy of inclusion. 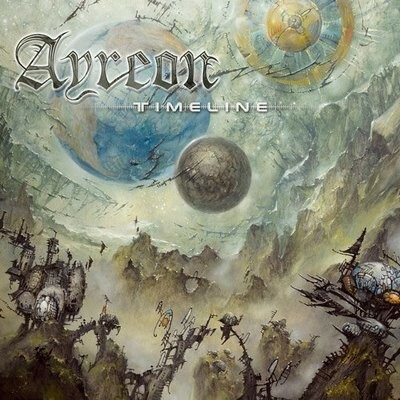 In addition to this new track there are another 32 (close to four hours of music) which have all been specifically remastered for this release, whilst the DVD represents another two hours of material comprising released and unreleased video clips, behind the scenes featurettes, 5.1 mixes and live performances of Ayreon tracks (by Star One and Stream of Passion), so all in all an exceptional collection. What can I tell you about the music? It’s epic, grandiose, glorious overblown in places, hugely melodic, diverse and thoroughly compelling. In fact there’s pretty much something for every taste encompassed within the three discs (Hard Rock, Metal, Prog Metal, Prog, Female Fronted Rock……). It would take me pages to go through and review the entire package, or for that matter to pick out highlights, because frankly there are so many and the DVDs pretty damn good too. Yes, you can go argue about tracks that have been omitted, or in one case edited, but that would be extremely picky and rather unworthy. My one gripe, as always, would be those rare occasions when the vocals are growled or shouted rather than sung. That said, AAL has drawn some exceptional performances from the myriad musicians he has had play for him on this opus and time after time I noted that this vocalist or that vocalist had produced one of their best ever performances. Unless you are the fluffiest of AOR fans in our readership then I suggest that this is a collection that you should check out. If we went in for multiple categories for Albums of the Year there is no doubt that this would be top of my re-issues list.